DocumentaryTV.com and Storytellers International bring you a world of stories, on demand. Our 501c3 non-profit organization was founded in 2009 to produce, promote and distribute documentary films from independent filmmakers around the world. With the launch of DocumentaryTV.com, we have started an online community where documentary filmmakers can do what they do best; tell their stories to a worldwide audience. We encourage filmmakers and film fans to bookmark our site and visit often to be an active part of the growing community. Our site features trailers of films in development, as well as online streaming options to rent or purchase copies of completed films. Most importantly, viewers are the impetus of our future films. Finding stories to tell is where it all begins, so we want to hear from you if you have any person, story or event that you would encourage us to consider for our next film – especially if you have access to the people or places involved. 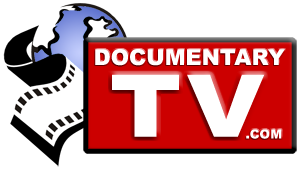 To get in touch with us, use our Submit Ideas page on this website, or simple email storyideas@documentarytv.com.